Beth is a Certified Pet Massage Water Work Practitioner through the Pet Massage Training and Research Institute in Toledo, Ohio. She is a professional member of the International Association of Animal Massage and Body Work. Beth has professionally trained Assistance Dogs for 10 years and has attended numerous animal behavioral seminars. She has rescued and trained over 100 dogs during her career. Beth continues to train her own dogs; Cammie, her Golden Retriever. Judy is a Certified Pet Massage Water Work Practitioner through the Pet Massage Training and Research Institute in Toledo, Ohio. She is a professional member of the International Association of Animal Massage and Body Work. Judy supervised a nationally recognized Assistance Dog program for 11 years and attended numerous animal oriented workshops. During her career, she has placed many Assistance Dog teams in the Stark County area. 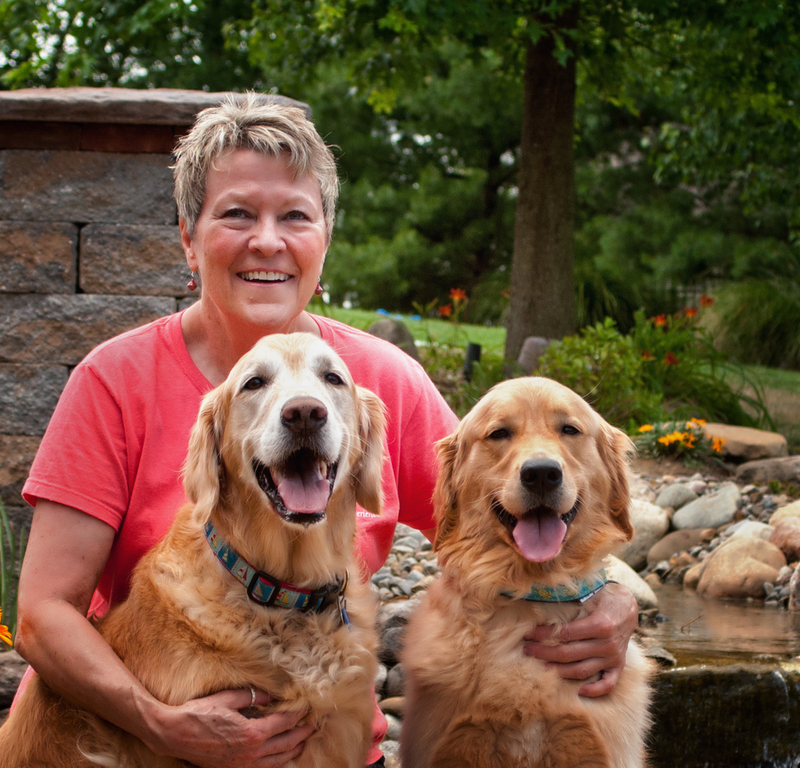 Judy resides with her Golden Retriever, Riley, her puppy mill survivor, Freedom and Cubbie, a Golden/Boarder mix. She has earned CPE Agility titles with her past dog,Truman and is very active with volunteer work throughout our community. All Water Work Training is accredited by the AMTA and ABMP, The Association of Bodywork and Massage Professionals and the NCBTMB, the National Certification Board of Therapeutic Massage and Body Work, Category 1 Provider.